This Christmas Vaseline have a created a lovely gift. Perfect for friends and family, this make up bag includes 2 small gifts. 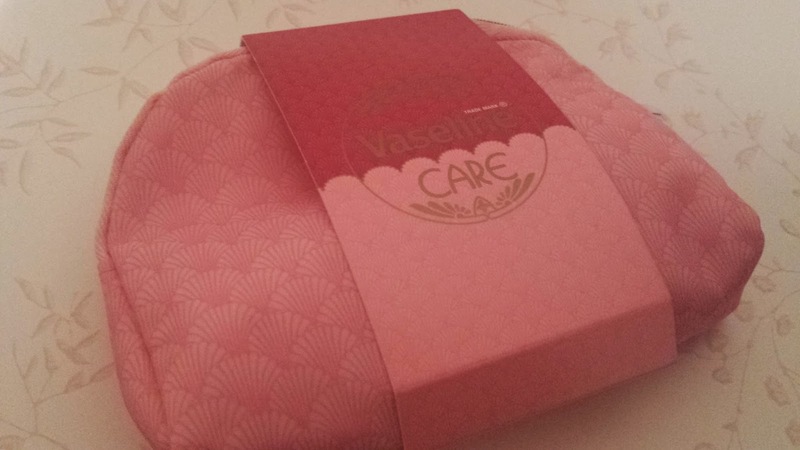 The lovely pink, vintage-style make up bag contains a 20g tin of Vaseline Ruby Lips and Vaseline healthy hands and stronger nails hand cream. 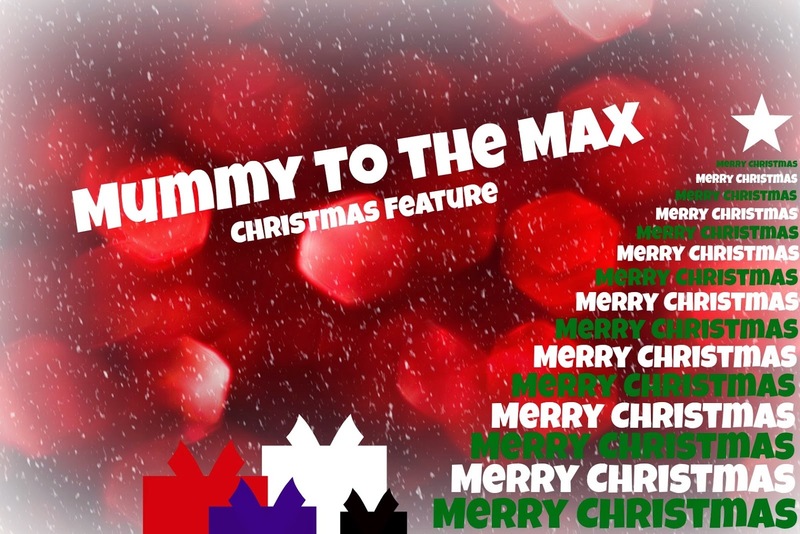 With a RRP of just £6 this gift is not only a bargain but is sure to go down with any lucky recipient. Once the contents has been used, you are able to use the make up bag over and over again. It is the perfect size for any handbag. 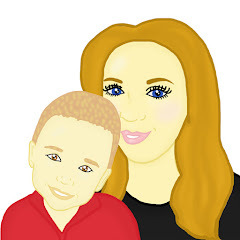 The Vaseline Make Up Bag is available to buy in Tesco, Asda, Sainsburys and Waitrose this Christmas. This Christmas give a family member or friend a special treat for their lips. Vaseline have created a Christmas treat that will impress any lucky lady. With a retro-inspired tin perfect to reuse over and over again for bits and bobs on that dressing table the tin originally comes with 3 different flavours of lip balm - Original, Aloe Vera and Cocoa Butter. With a RRP of £6.50 this is a perfect gift for the lip balm lover this Christmas. 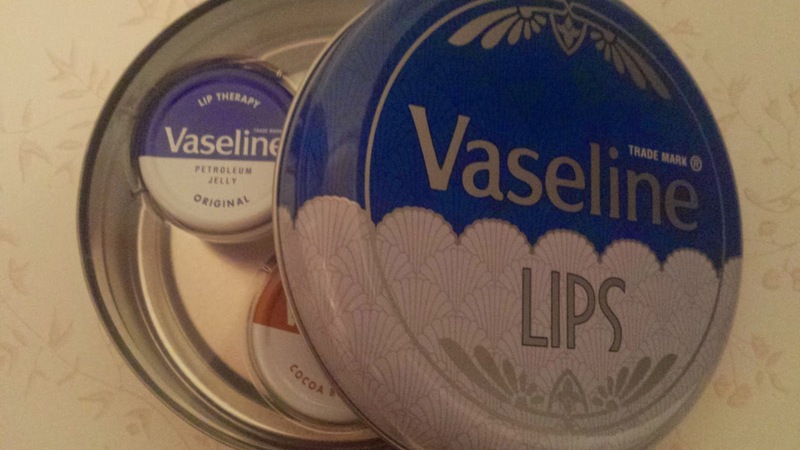 The Vaseline Original Lip Tin is available to buy in Tesco, Asda, Sainsburys and Morrisons this Christmas. Vaseline have created the perfect stocking filler this Christmas. 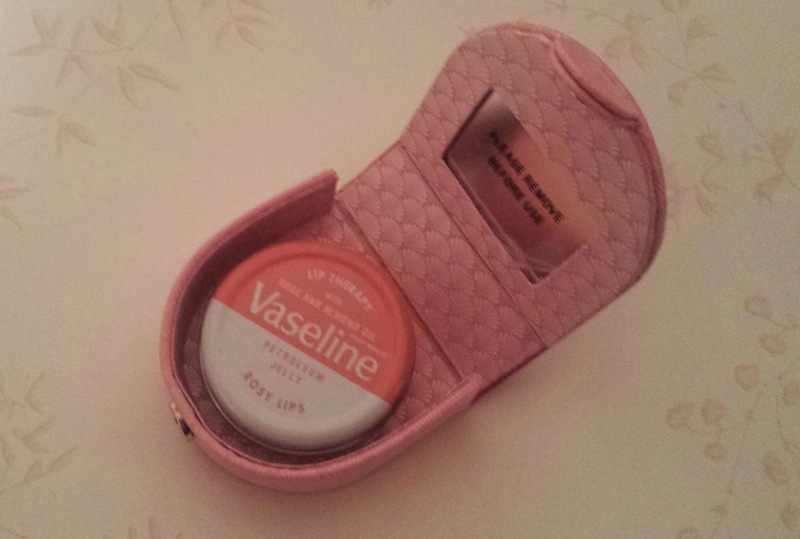 The Vaseline Rosy Lip Pouch is a pouch with a simple Vaseline Rosy Lip Balm in. The Vaseline Rosy Lip Pouch is the perfect handbag accessory, the pouch keeps the lip balm protected and makes it easy to find in a busy bag. With a RRP of just £4 this small bargain is available to buy in Tesco, Asda and Sainsburys.